Calorie restriction decreases skeletal muscle apoptosis, and this phenomenon has been mechanistically linked to its protective action against sarcopenia of aging. Alterations in lipid composition of membranes have been related with the beneficial effects of calorie restriction. However, no study has been designed to date to elucidate if different dietary fat sources with calorie restriction modify apoptotic signaling in skeletal muscle. We show that a 6-month calorie restriction decreased the activity of the plasma membrane neutral sphingomyelinase, although caspase-8/10 activity was not altered, in young adult mice. Lipid hydroperoxides, Bax levels, and cytochrome c and AIF release/accumulation into the cytosol were also decreased, although caspase-9 activity was unchanged. No alterations in caspase-3 and apoptotic index (DNA fragmentation) were observed, but calorie restriction improved structural features of gastrocnemius fibers by increasing cross-sectional area and decreasing circularity of fibers in cross sections. Changing dietary fat with calorie restriction produced substantial alterations of apoptotic signaling. 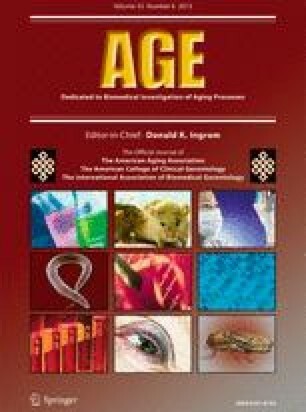 Fish oil augmented the protective effect of calorie restriction decreasing plasma membrane neutral sphingomyelinase, Bax levels, caspase-8/10, and −9 activities, while increasing levels of the antioxidant coenzyme Q at the plasma membrane, and potentiating the increase of cross-sectional area and the decrease of fiber circularity in cross sections. Many of these changes were not found when we used lard. Our data support that dietary fish oil with calorie restriction produces a cellular anti-apoptotic environment in skeletal muscle with a downregulation of components involved in the initial stages of apoptosis engagement, both at the plasma membrane and the mitochondria. This work was supported by NIH grant 1R01AG028125-01A1 (to JJR, PN and JMV), Ministerio de Economía y Competitividad BFU2011-23578 (to JMV), Junta de Andalucía Proyectos de Excelencia grant P09-CVI-4887 (to JMV), Junta de Andalucía Proyectos Internacionales grant (to JMV), and BIO-276 (Junta de Andalucía and the University of Córdoba, to JMV). JALD was funded by a predoctoral fellowship of the Spanish Ministerio de Educación. HK was funded by a predoctoral fellowship of the Agencia Española de Cooperación Internacional al Desarrollo.